Here are some details of some of the major trusts and organisations which support work with young people in a range of contexts. It draws heavily on information available to subscribers to funding information.org, an online fundraising information resource for voluntary organisations, local authorities and other not-for-profit organisations throughout the UK. The Directory of Social Change has also developed an Internet-based service giving details of a wide range of charitable trusts. Information on Central Government Funding is available free on the from the Directory of Social Change website. Other online sources of support include FunderFinder, which develops and distributes software to help individuals and not-for-profit organisations in the UK to identify charitable trusts. Further information can be found at the UK Fundraising website. Trustees meet March, June, September and December. Supports a wide range of charitable organisations with grants for both capital and revenue. Most grants are made to organisations within the UK and preference is given to charities operating in the Coventry and Warwickshire area. Grant categories include leisure, recreation and youth. Most grants are between £1,000 and £5,000. It offers up to £3,000 to young people who have a dream that would make a difference to other young people. Each year, there are eight awards to enable young people to turn their ideas into reality. Young people can apply on their own, or in a group of up to four. Applicants should be aged 14 to 23, and be willing to make a short video about their idea. There are also 12 awards of £500 available for emerging leaders. All year round. Supports disadvantaged people in local communities through three main approaches - education and training that may lead to a recognised qualification or be part of a wider approach to lifelong learning; local regeneration based on partnerships such as intergenerational work or diverse ethnic communities working together; and helping disadvantaged people to take more control of their money through financial education. Funding is geared towards one-off grants mostly between £1,000 and £4,000. All year round. This trust supports people under 30 who are able to demonstrate that through volunteering and community service they can enhance the lives of others, particularly those most marginalised by society, e.g. homeless people, people with drug problems or disabilities. The trust will give grants of up to £250 to volunteering/community service projects. The Inter Faith Youth Trust (the new working name of Alma Royalton-Kisch Trust) is the only UK charitable trust dedicated solely to supporting inter-faith educational work with children and young people. We fund work in the UK with particular interest in the Greater London boroughs. Grants are awarded for proposals for inter-faith learning by children and young people from Christian, Jewish, Muslim and other faiths in understanding and co-operation. The age limit for young people is 25. Proposals are preferred which involve young people actively in planning, running, and evaluation, and which promote equal opportunities. Grants can support existing work, and provide part-funding. Grants are not available for converting young people to a different faith, or for work which includes young people from different faiths but which does not include inter-faith educational work. All year round. Arts Council England offers support for individual artists, organisations and national touring. The organisational grants programme is available both to specialist arts organisations and to those that use the arts as part of their work. It aims to change people’s lives through the opportunity to take part in or experience high quality arts activities; increase opportunities for cultural diversity in the arts; support excellence, new ideas and activity to help build long-term stability in arts organisations; invest in the creative talent of artists and individuals; and increase resources for the arts. Activities eligible for grants include projects and events, participatory arts activities, educational activities, capital items, and professional development and training. Grants normally range from £200 up to £100,000, and can cover activities lasting up to three years. Most grants will be under £30,000. Applications for grants under £5,000 will be handled in under six weeks. Lottery funding programme aimed at local groups, which awards grants of up to £10,000 in a simple, quick and straightforward way. 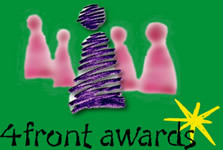 Awards for All supports a wide range of activities in England, Scotland, Wales and Northern Ireland, including education, heritage, environment, health, community activities, and in most countries, sports and arts. Awards for All is funded by lottery distributors in each of the countries of the UK, and operates through 12 regional offices. 30 November and 30 March each year. The programme supports projects which seek to benefit children of 18 years and under with mental, physical or sensory disabilities, children with behavioural or psychological disorders, children living in poverty or deprivation, and children suffering through illness, distress, abuse or neglect. Grants range from a few hundred pounds to a normal maximum of about £100,000. All year round. Operates several grants schemes, the most significant of which for most youth groups is the 'amenity' strand of the main scheme and the small grants scheme. The amenity strand will fund community facilities that offer opportunities for recreation, sporting achievement, lifelong learning and community involvement. Facilities that improve the quality of life for children and young people are a priority. The small grants scheme funds activities that can make an impact on quality of life through wildlife conservation measures, access to informal learning opportunities or access to sport and recreation. All projects need to be within 10 miles of a Biffa operation. Main grants are generally up to £50,000, small grants between £250 and £5,000. Programme will run for 2 years from November 2005. 10 award rounds per year. Provides funding for young people aged 11 to 25 involved in community projects. Funded by the Big Lottery Fund, the programme awards grants of between £250-£5,000 to help individuals and small groups of people deliver projects in their local areas. Launched in June 2004, the Big Lottery Fund was formed as a result of a merger between the New Opportunities Fund, which made grants for health, education and the environment, and the Community Fund, the main source of lottery money to the voluntary sector. It has also taken over assets of the Millennium Commission and its role in supporting large-scale regeneration projects. Between 60% and 70% of its £1 billion of new funding a year is distributed to the voluntary sector. This is expected to be the case until 2009. The Young People's Fund aims to promote the well-being and personal development of young people across the UK. Young people can access the funding scheme either individually or through their organisations and groups. The fund totals £200 million, with £157.5 million being allocated to England. There are 3 types of grant: grants to individual young people aged between 11 and 25 of between £250 and £5,000; grants to community and voluntary organisations workingwith young people aged between 11 and 18 of between £5,000 and £150,000; and grants to voluntary organisations to fund national projects. All year round. Funds innovative projects in greater London which assist young people in deprived areas. It has identified 3 themes concerning young people: preventative work with children and young people aged 5-16; young people aged 16-21 in crisis; and work promoting the active involvement in their communities of young people aged 11-18. Also supports environmental conservation and initiatives to improve access (transport, buildings, opportunities) for disabled people, and technical support to voluntary organisations. Has small grants scheme giving grants of £500-£5,000 to registered charities with an annual income of under £50,000. Guidelines available. Details available on the website at the end of March 2006. Foundation supports a limited number of projects, focusing on young people who have slipped out of the mainstream of society, or are in danger of doing so. In particular it supports work with young parents or those at risk of becoming young parents; young asylum seekers; young people with mental health problems; and young disabled people. It also prioritises activities designed to promote the social inclusion of young people, including activities that allow young people to have a voice within society, influence the provision of services, and take part in community and civic life. Any charitable organisation in the UK working with young people aged between 11 and 25 may apply for grants of between £10,000 and £90,000, covering one-off or pilot projects, recurring grants or project costs including salaries. The Foundation will only support local work where there is potential to influence others on a wider scale. May and October each year. Annual appeal which makes grants of up to £3,000 to organisations working with disadvantaged children and young people under 18 in greater London. Fund set up by the Church of England to support community-based projects tackling social exclusion, poverty and marginalisation in England's deprived inner cities and outer estates. It makes three kinds of grants. Project grants to projects in Urban priority areas (UPAs) to help specific communities face up to their challenges. Any project with a charitable purpose that is able to raise part of the required money from other sources and is linked to the Anglican Church may apply for a grant. Development grants: a strategic and proactive grants programme which operates across the Church in partnership with the dioceses and other agencies to tackle more effectively both the causes and effects of urban poverty. CUF Xchange is part of the work of the Church Urban Fund (CUF). Church Urban Fund has existed as a fund for faith-based social action projects since 1987. CUF provides grants for activities which confront issues related to poverty and disadvantage in the top 10% poorest areas of England. CUF is also a research organisation working with partners to explore the impact of poverty and the projects working to confront it. January, April, August and November. Makes grants to organisations working with poor people within London. Help for young people aged 10-25 is a priority for 2002-06. It will fund projects offering direct work in providing information, advice and assistance with individual advocacy; local initiatives to combat racial harassment and crime; and support for education and training initiatives. The foundation is also an active promoter of the voluntary sector in London generally. Grants are usually for amounts between £15,000 and £50,000.Guidance leaflet available. All year round. Current main programme is Regenerate which aims to draw attention to youth issues in coalfield communities and make an impact on the lives of the worst affected young people. (Currently extended until 2008). Also provides grants for personal development, youth work activity, volunteering and mentoring schemes. For grants under £5000 there is no deadline. Comic Relief Red Nose Day programmes 2005-08 include a section on young people. The programmes support work with young people aged 11 to 21. Current priorities include young people with mental health problems; young people with alcohol problems; and young people abused through prostitution and trafficking. Grants of over £5,000 are made to voluntary organisations of any size that work within the grant making priorities. CYEC is the national agency for the promotion and grant-aiding of two-way youth exchange visits between young Britons aged 15 to 25 and their contemporaries in Commonwealth countries, especially those in Asia, Africa or the Caribbean. Groups planning Commonwealth youth exchanges during the next financial year are invited to apply for grants to help meet the costs of travel or hosting an overseas group in the UK. Grants are given for group outward visits (25-40%of return travel costs) and group incoming visits (up to 40% of costs). CYEC also considers advance planning grants (75% of airfare for one applicant or 50% of airfare for two applicants). Gives grants to British youth groups (made up of between 8 and 40 young people aged 15-25) towards the costs of youth exchanges with groups in Europe, Latin America, Israel, the USA and Japan. The next application deadline for Mid & Big Mediabox is 18 September 2007. Mediabox will give young people who are currently under represented in the media industry the chance to design and deliver projects in a wide range of media, from Film, TV and Radio to New Media, helping to shape the media professionals of the future. You can apply anytime for up to £1,000 with My Mediabox. Organisations working with young people can apply for up to £80,000 with Mid and Big Mediabox.